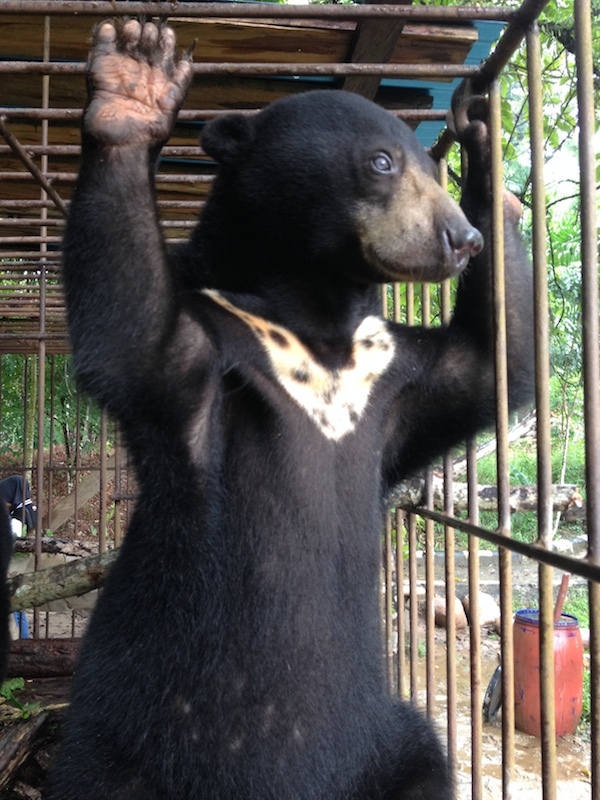 I spent last week in Tarakan, a small town North-East of Kalimantan, to help improve the welfare of 2 bears held by the Ministry of Forestry. 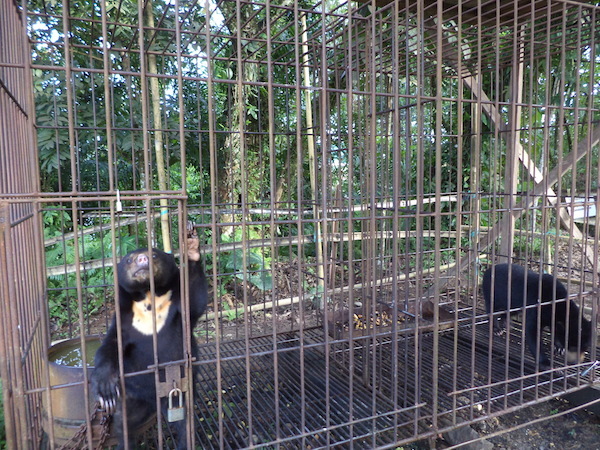 The two sweet females have been living together in a metal cage of 1,5m x 3m (and 1,8m high) for the last five years. 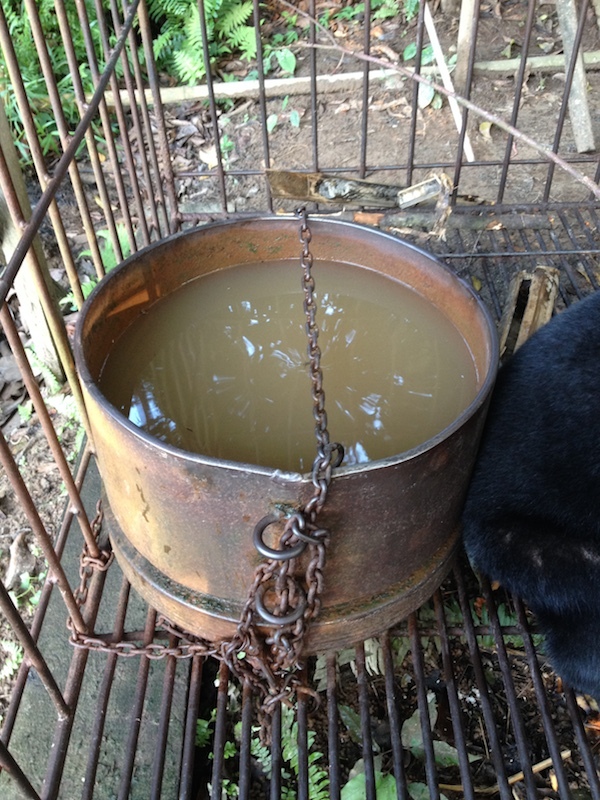 The only item in the cage was a water basin that was chained up in a way that the bears could not bathe in it. 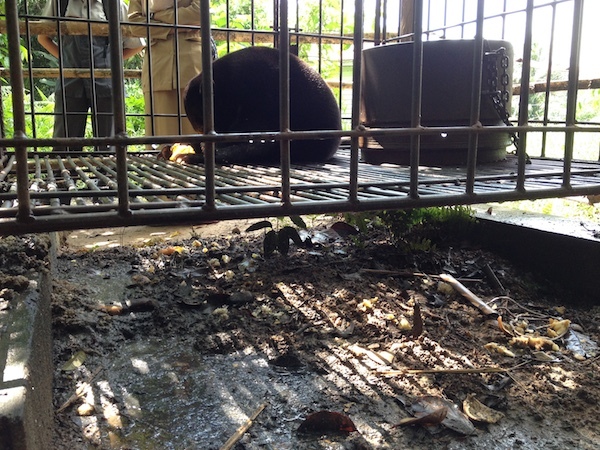 A few boards served as a roof and all the bears’ litter and food waste just fell to the dirt ground below the cage. 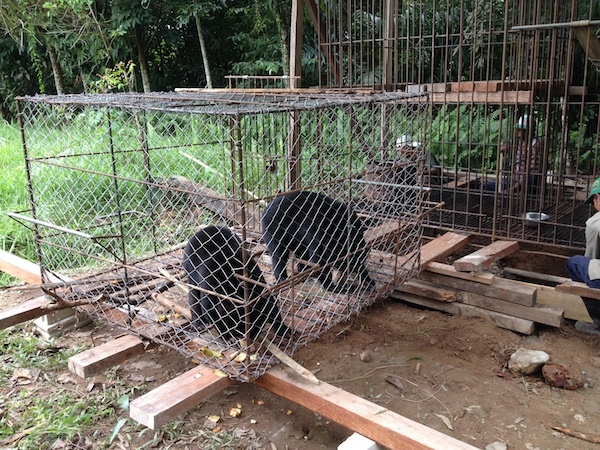 The partition wall and door within the cage was broken making it impossible to keep the bears on one side or the other. 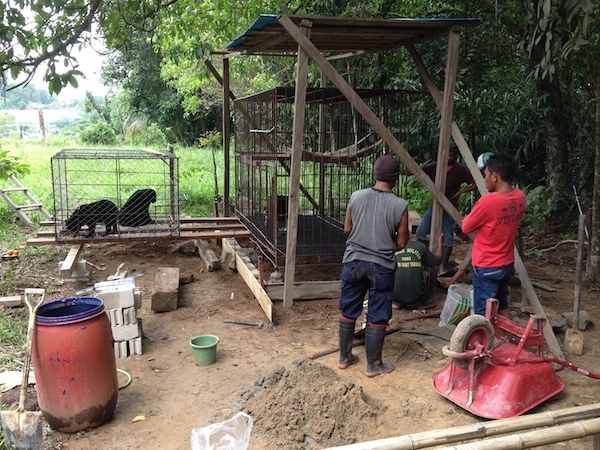 The first thing I did was to have a temporary holding cage made in which we could place the bears while fixing and improving their main cage. 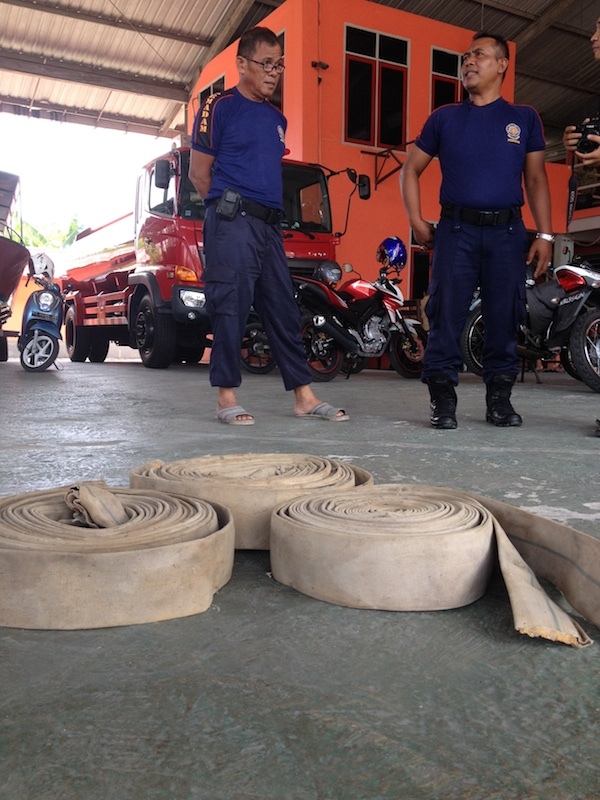 With some of the staff from the Forest Department, we went to the local fire station to ask for some old fire hose with which we made a hammock. 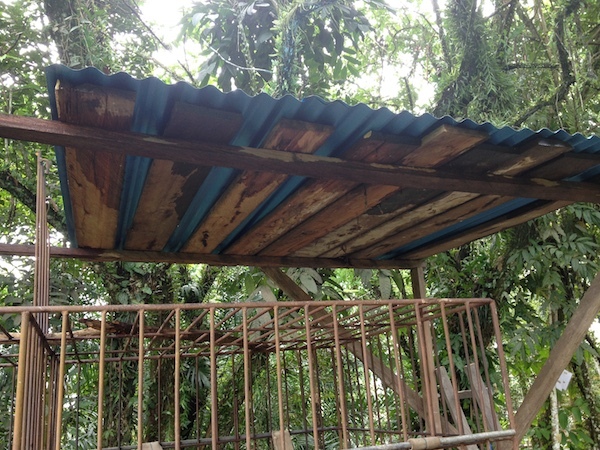 Wood that had been confiscated from illegal loggers served to make a sleeping platform. 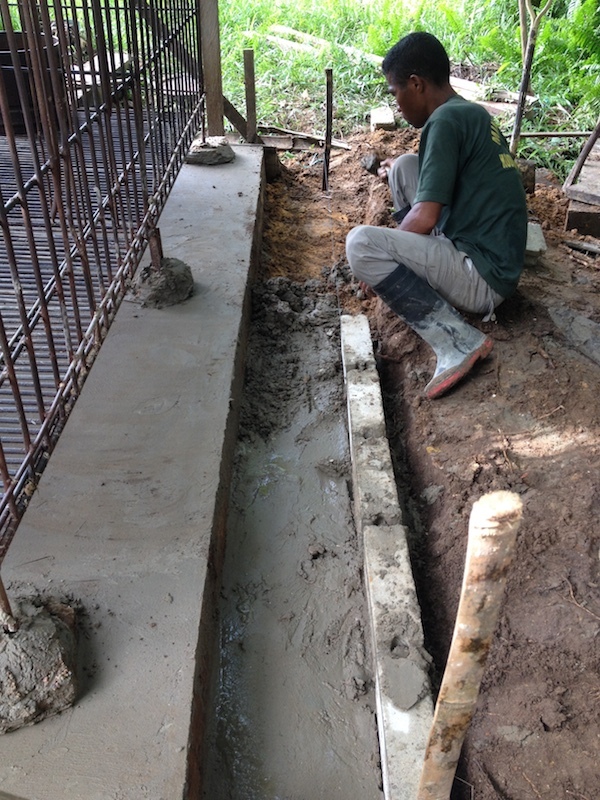 A welder fixed up the partition wall and partition door, making human access to either side of the cage now possible. 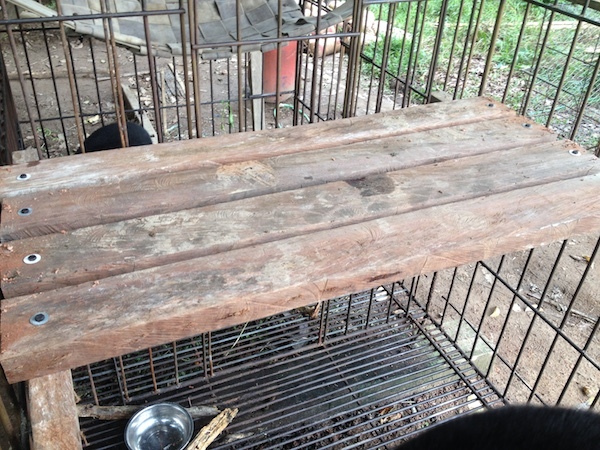 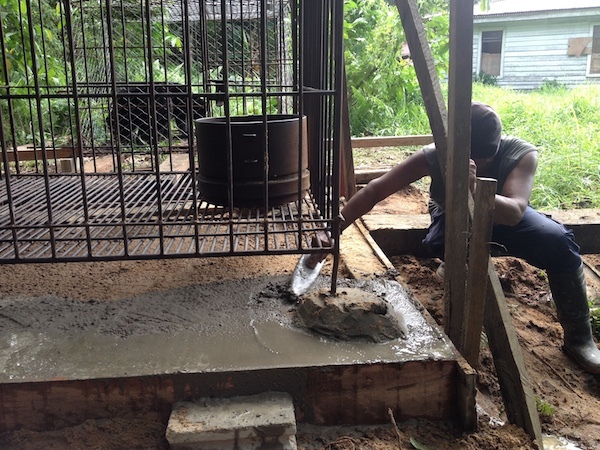 We made a cement floor below the cage to be able to easily hose the litter away and we added a few sheets of corrugated iron on the boards that served as the roof. 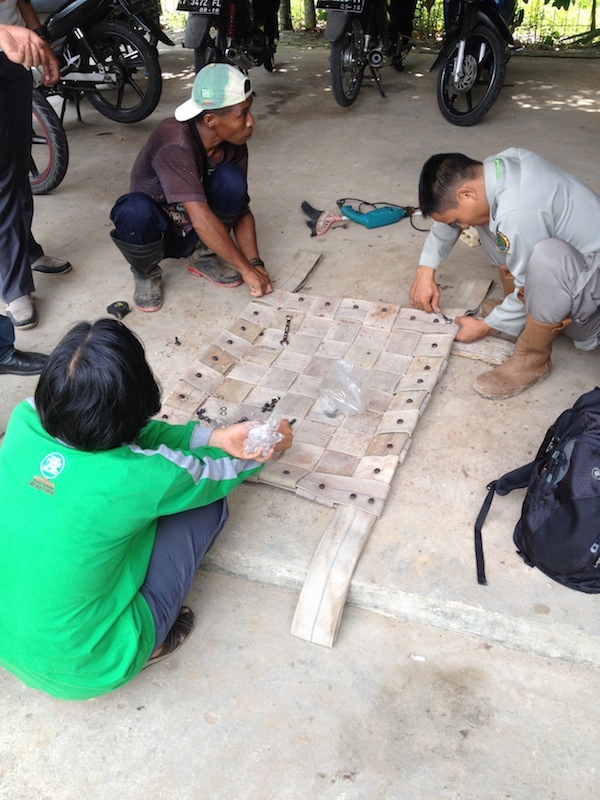 The whole operation took 6 days and cost about 450 euros. 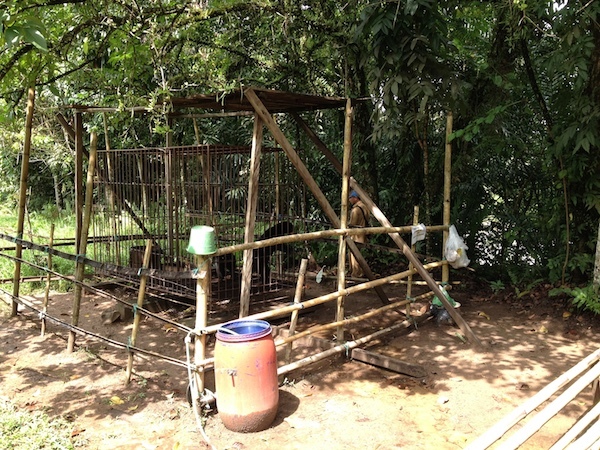 The two bears are still in the same cage, but they now have a hammock, a wooden platform, a water basin that they can go into, a waterproof roof and a cleaner environment. 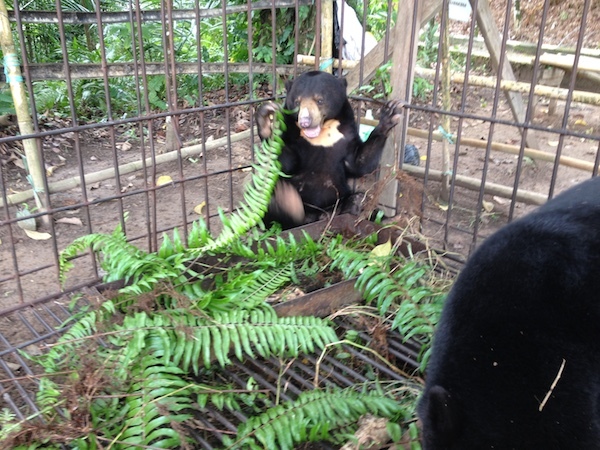 In the hope that the staff follow my recommendations, the 2 bears will, from now on, also get a better diet and a regular supply of ferns and branches to play with. 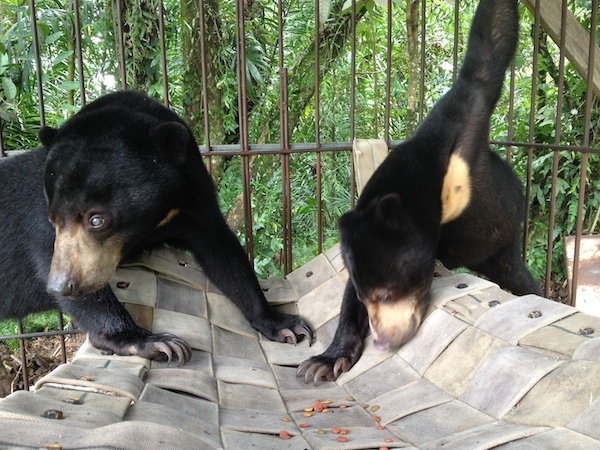 Unfortunately, there is no sanctuary in Kalimantan that could receive these two sun bears, and they are so tamed that they would have no chance of survival were they set free in the forest. 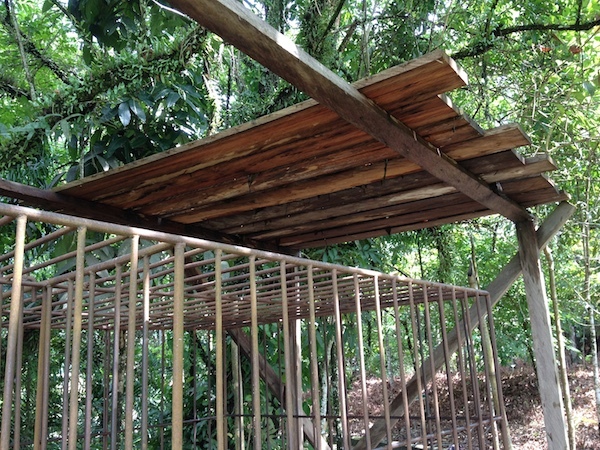 I would like to give them access to an outdoor enclosure with some trees, but I don’t have the possibility to do so right now. 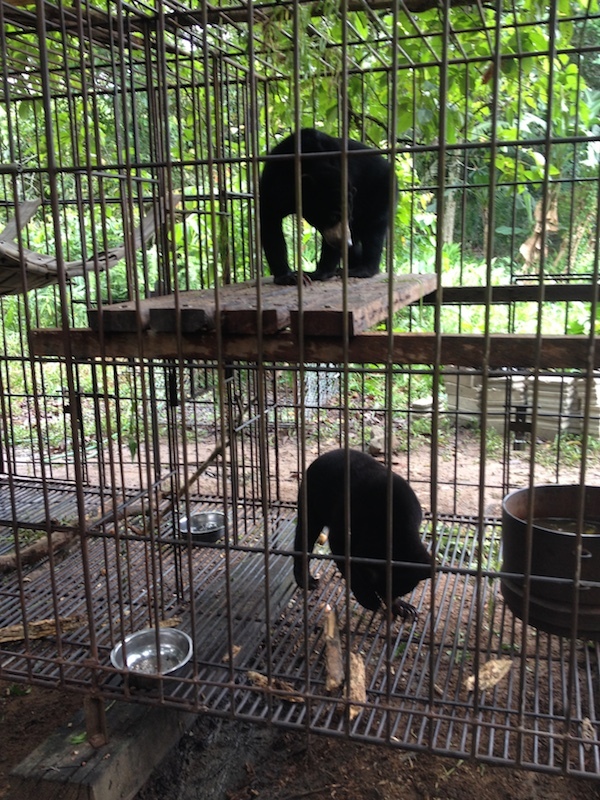 Sadly, these two sweet girls who have not even been given names, will have to continue living in their 4,5 square meters until a better solution for them can be found.